Is the Apple HomePod a Best Buy smart speaker? The Apple HomePod results are in from the Which? test lab. It’s been through our extensive testing to see whether it has the superior sound and amazing features promised by the hype, and whether it’s easy to use. 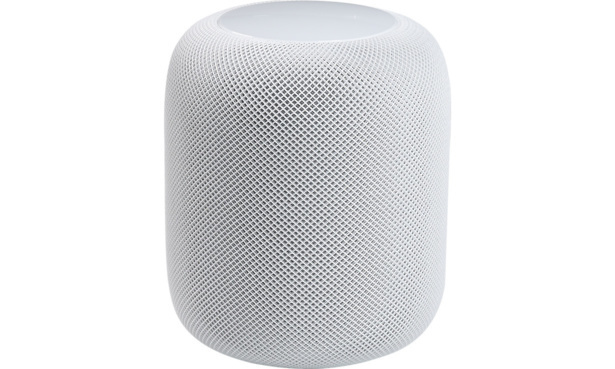 Apple’s HomePod wireless speaker is one of the highest-profile speaker releases of 2018, billed as the perfect music-playing machine and promising crystal-clear sound. This sets it apart from its biggest smart-speaker rivals, the Amazon Echo and Google Home, both of which focus on smart voice-assistant functionality and compatibility with smart home devices such as light bulbs. The HomePod works with wi-fi only, and has Apple’s Siri voice assistant built in. Like the Sonos One smart speaker before it, it optimises the sound it produces to spread it evenly, regardless of the shape of your room. But with fierce rival the Amazon Echo (2nd Gen) being only a fraction of the cost, at £90, it has to perform exceptionally. Find out whether it manages this by clicking on the link to our full review below. We’ve also highlighted some alternative smart speakers, so you can see how the cheaper options compare. Best Buy wireless and Bluetooth speakers – head straight to our top reviews. Apple’s HomePod is deeply integrated with its Apple Music service for music streaming, as well as iTunes. It aims to deliver the ideal way to listen to music and audio – to Apple-device owners only, that is. You need a newer iPhone, iPad or iPod Touch to set it up, so even Android phone users with an Apple Music subscription aren’t able to use the speaker. Controls on the HomePod’s housing allow you to play and pause music, change the volume and track, and activate the Siri voice assistant. Despite prioritising music, the HomePod is also compatible with smart home devices such as smart thermostats that support Apple’s HomeKit. This allows you to control such devices through the speaker with just your voice, so you can raise the temperature of your house on a cold day without leaving the sofa, for example. But most importantly, how does it sound? Has Apple delivered quality that matches the very best speakers around? We reveal all in our Apple HomePod review. Amazon revolutionised the smart speaker space with the original Echo, and it has done it again with the Amazon Echo Show. It’s a smart wireless Bluetooth speaker that also has a 7-inch touchscreen, adding a visual element to the smart speaker experience, plus additional control options. Through its Alexa voice assistant, you can ask for recipes and go through the instructions easily on the screen as you cook. 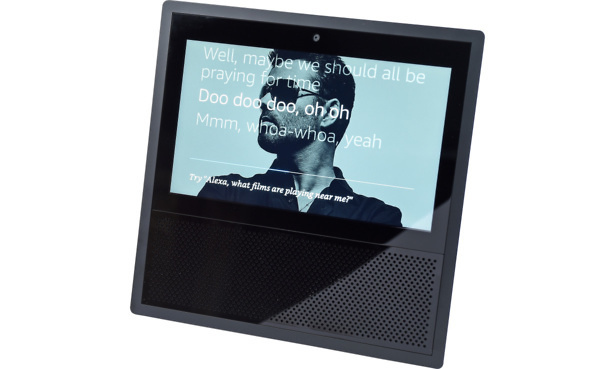 You can also make hands-free video calls to other Amazon Echo Show owners all over the world, or voice calls to those who have other speakers in the Echo range. But with all its main rivals having a cylindrical shape, which in theory distributes sound evenly throughout the room, do the Show’s front-facing speakers mean a compromise to the sound? We give you all the details in our Amazon Echo Show review. Sonos is a big name in audio, and the Sonos One is its flagship smart wi-fi speaker, with Amazon’s Alexa voice assistant built in. Sonos has even promised to add Google Assistant support down the line, so you’ll have both to choose from. 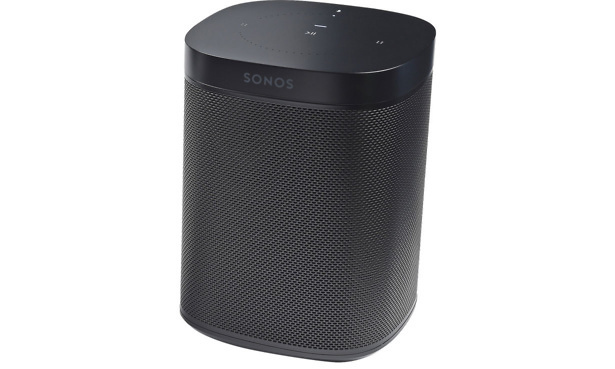 It’s a stylishly understated speaker and has multi-room support, so you can pair multiple Sonos One speakers together to help sound permeate throughout your home. You set it up using the Sonos Controller app, which allows you to change settings including an equaliser, so you can adjust the sound profile to your personal tastes. 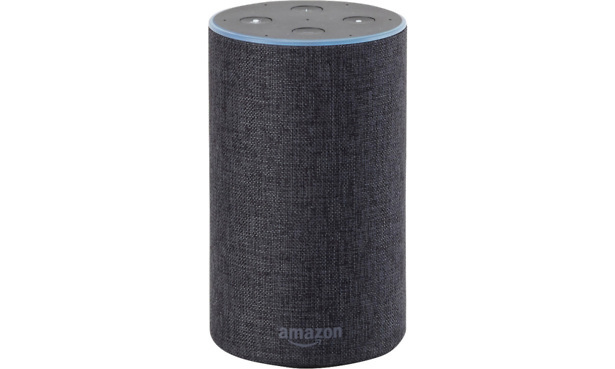 It offers a similar set of voice-control features to the Amazon Echo (2nd Gen), although the Echo devices have a feature you can use to call other Echo owners through your speaker, which isn’t supported on third-party Alexa voice assistant speakers such as the Sonos One. Does the Sonos One match Sonos’s impressive reputation for multi-room speakers? Our listening panel of music-industry professionals give their definitive verdict in our Sonos One review. Ultimate Ears might not have the brand recognition of tech giants such as Apple and Amazon, but that doesn’t mean it can’t produce a highly attractive-looking speaker. 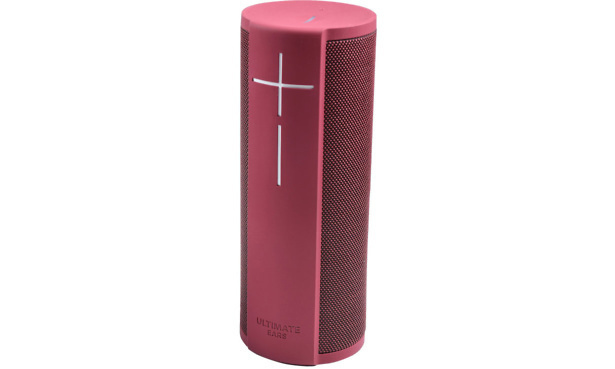 The Ultimate Ears Megablast Bluetooth speaker has Amazon’s Alexa voice assistant built in, giving you the lion’s share of the same functionality as the Amazon Echo (2nd Gen). It’s unique in this list as being the only speaker that can run on batteries, making it truly portable. It’s incredibly durable, too – it has an IP67 rating, meaning it’s dustproof and can be submerged completely in water down to a metre deep for up to 30 minutes. So if you want the confidence your speaker will last, this seems to be an impressive choice. But can a portable speaker really match the sound quality of home speakers? We put it to the test in our Ultimate Ears Megablast review. 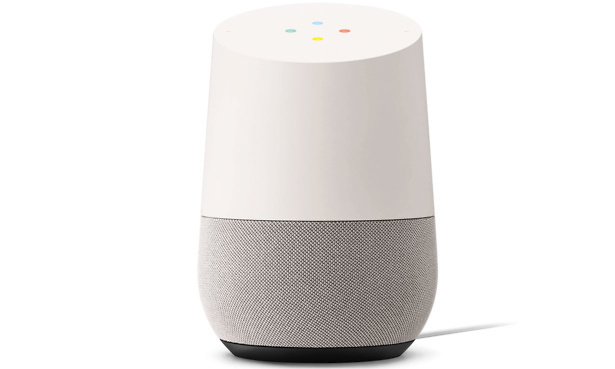 If you’re an Android phone user or love Google services such as Gmail and Google Calendar, the Google Home could be the perfect smart speaker for you. It, too, is much cheaper than the HomePod, and it comes with its own voice assistant called Google Assistant. 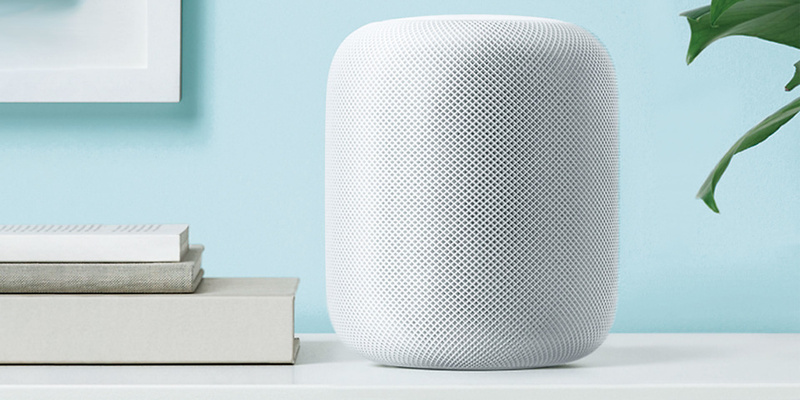 It’s slightly larger than the Amazon Echo (2nd Gen), but smaller than the HomePod, and has an angled top with four Google-branded colour lights and a plump base. The latter houses the speakers, which are covered by either a fabric or metal grille. Similar to the Amazon Echo (2nd Gen), it gives you access to third-party music-streaming services such as Spotify. Like the HomePod, it is wi-fi only. With wi-fi, in principle, offering very slightly higher sound quality than Bluetooth, see whether this gives Google’s offering the edge it needs in our Google Home review. One of the biggest names on the smart speaker scene, Amazon’s Echo Bluetooth wireless speaker is now in its second generation. It promises improved sound over its predecessor, with the sound tuned by Dolby. It’s got a new smaller and smarter look, plus a highly attractive price – it’s the cheapest smart speaker on this list. Unlike the HomePod, the speaker also natively supports third-party music-streaming services such as Spotify (with a Spotify subscription), so you don’t need to get out your smartphone to access these services like you do with the HomePod. The Echo has Amazon’s popular Alexa voice assistant built in, allowing you to perform tasks such as play music or radio, ask for the weather or news, send messages to people and control your smart home devices. If Amazon has delivered on the promise of improved sound at such a low price, this could be a serious challenge to the Apple HomePod. See whether this is the perfect marriage of sound and price in our Amazon Echo (2nd Gen) review.